This one’s been on the “to-try” list for a while. Eggs Benedict seems like an intimidating thing to make between the poached eggs and the Hollandaise sauce, but I didn’t find it that difficult. It was my first time making poached eggs and I was greatly helped by the Jamie Oliver method. He cracks the egg inside of saran wrap, ties it up in a knot, then plops it in the water to cook. The eggs retain a perfect shape and it makes the whole thing much less intimidating to try. The method is detailed here. 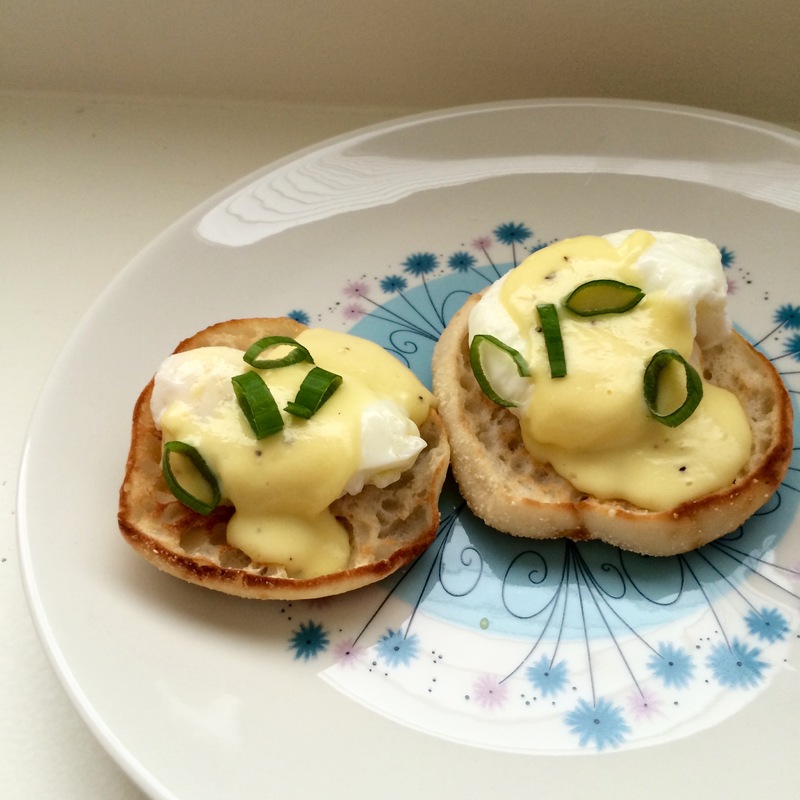 The Hollandaise came out pretty well consistency-wise, but I still want to play around with seasonings. And there’s no ham under the egg, sorry. We’ll pretend I was vegetarian for the day and not just that we had to go grocery shopping.